There are few things that say “summer” as much as a hot barbeque grill filled with sizzling meat and vegetables, and a yard full of family and friends. July is National Grilling Month and many of us will be celebrating by taking the cooking outside. 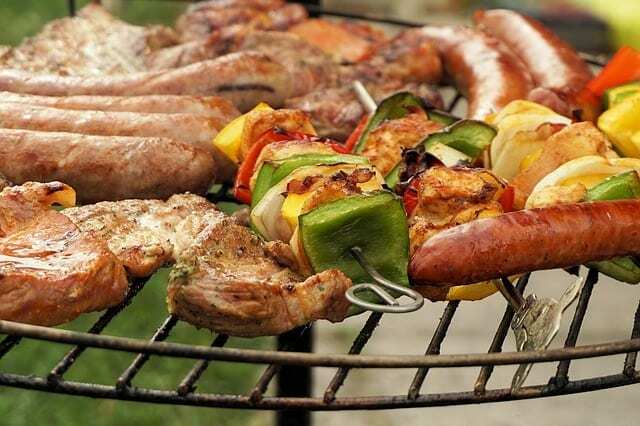 Estimates are that 75 percent of Americans own an outdoor grill or smoker. The number-one grilling holiday is the Fourth of July, when most all of those folks plan to fire it up. The U.S. Census states that 79.1 million Americans grill out per year, because they like the unique flavor outdoor cooking brings along with the enjoyment of sharing an outdoor meal with family and friends. There’s no reason not to be one of the millions that enjoys outdoor grilling. We just want to caution you about the health risks. According to the National Cancer Institute (NCI), when we cook meats with high-temperature methods like frying or grilling over an open flame, it creates potentially dangerous chemicals that can actually change DNA and increase risk of cancer. 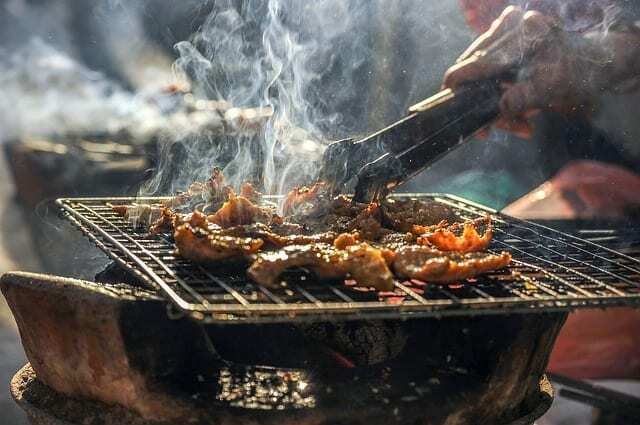 Here’s more on the risks, and how you can still enjoy National Grilling Month without putting your our your family’s health in danger. Though outdoor grilling seems as natural as picking berries off a bush, it can threaten your health if you’re not careful. Below are the three main dangers you want to watch out for. Many people love their meat well done, with a touch (or more) of black char, but we now know that char is filled with cancer-causing compounds called heterocyclic amines (HCAs) and polycyclic aromatic hydrocarbons (PAHs). The NCI warns that these chemicals are formed when we grill or fry muscle meat like beef, pork, fish, and poultry. Scientists have performed laboratory experiments on this type of cooking, and have found that HCAs form when amino acids (building blocks of proteins), sugars, and creatine (a chemical waste molecule generated from muscle metabolism) react to the high temperatures of the fire. PAHs are formed when fat and juices from the meat drip onto the fire. They react with the heat to produce PAHs, which rise with the flames to coat the surface of the meat. The higher the temperature and the longer you cook the meat, the more of these chemicals are likely to form. Well-done meat, for example, will contain more than medium-rare meat. Any sort of cooking that causes charring (including grilling and barbequing) creates more PAHs. Barbequing, broiling, and frying produce the most. Laboratory experiments show that these chemicals can cause dangerous changes in DNA that can increase the risk of cancer. When we consume them in our meat, they react with enzymes in the body that depending on the person, may set the stage for cancer. Animal studies have shown that high levels of these chemicals were associated with more cancerous tumors, but scientists haven’t yet made a clear connection between HCAs, PAHs, and cancer in humans. Some studies have, though, shown that people who eat more well-done, fried, and barbecued meats were more likely to develop colorectal, pancreatic, and prostate cancer. In 2012, for example, researchers analyzed data from over 60,000 people and found that those who consumed the most charred meat had an up to 60 percent increased risk of pancreatic cancer. The second danger of barbequing lies in the smoke. Barbeque smoke also contains PAHs that when inhaled, may damage your lungs. It’s because of the meat juices dripping onto the hot coals and flames. Not only do the flames then contain PAHs that can rise up and coat your meat, but the smoke contains them too, and as it rises into the air, if you’re standing nearby, you may breathe them in. You know how after you finish cooking you go inside and realize your shirt and your hair all smell like grill smoke? That’s evidence that the stuff got on you, and likely in you, too, if you were breathing in smoke while cooking! Whenever you’re handling food there is a risk of foodborne illness. When taking meat outside to a grill, the risks can increase if you’re not careful. E. coli and Salmonella are frequent food spoilers, and are easily transferred from uncooked meat to cooked meat. Undercooked meat can also contain dangerous bacteria, as can any cooking tools or surfaces that touch raw meat. Fortunately, you don’t have to sell that grill to increase your odds of living a long and healthy life. Instead, take the following precautions with your food to reduce your exposure to any damaging chemicals or organisms. You probably already do this before you start, but remember to wash frequently as you go. You can easily transfer bacteria from uncooked meat to cooked, or from surfaces to your meat, so make it a habit to wash regularly, and especially every time after you touch raw meat. Let your meat sit in your favorite sauce for at least 30 minutes before cooking (more if you have time). The American Institute for Cancer Research (AICR) states that marinade is like a barrier between your meat and the dangerous chemicals that can deposit onto it. 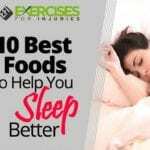 They recommend mixing your own with ingredients like vinegar, lemon and other citrus juices, and your favorite herbs including basil, sage, garlic, and oregano. One 2008 study found that rosemary applied to hamburgers helped break up the potentially cancer-causing compounds that form when the meat cooks. You can also use beer or wine, as some studies have shown that leaving your meat in either of these for two hours significantly reduced HCAs. “Precisely why marinades are protective is still under investigation,” the AICR states, noting that it could be the acidic ingredients or the antioxidants that shield us. Whatever it is, it works. In 2010, for example, a study review revealed that vitamin E, rosemary, fruit pulp, and other seasonings and spices help lower HCA production by as much as 70 percent. Word of warning: don’t use regular barbeque sauce as a marinade. Researchers found in one study that while marinating meat in teriyaki and a turmeric-garlic marinade reduced HCA levels, the barbeque sauce actually doubled and even tripled levels of HCA after 15 minutes cooking time. 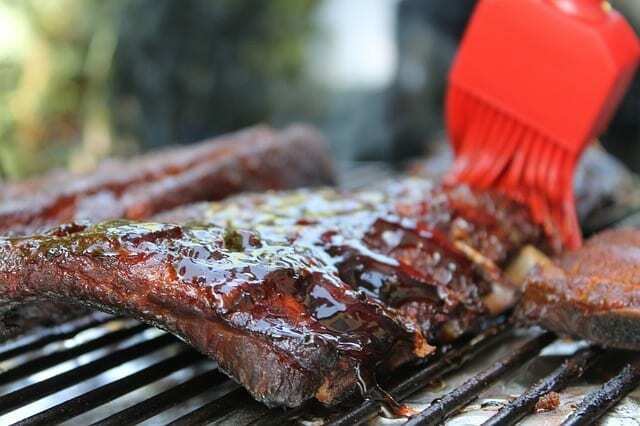 Researchers believe it was the fructose sweetener in the sauce that caused the increase, so avoid sugary barbeque sauces until after the meat is cooked. Keeping your food safe from bacteria requires several steps. In addition to regularly washing your hands, keep raw food separate from cooked food, and use separate tools when handling each. Marinate the meat in the refrigerator, and use a meat thermometer to be sure food is properly cooked (but not overcooked). Once the food is cooked, move it to the side of the grill rack so it stays hot until ready to serve. Make sure it’s not still cooking, but just resting where it’s warm. Don’t let cold foods sit out for more than two hours, or one hour if it’s 90 degrees Fahrenheit or hotter. Keep hot foods warm until serving. Believe it or not, chicken barbequed with the skin produces far higher amounts of HCAs than beef. You can increase safety easily by skinning the chicken before cooking. Simply remove the skin and then marinade the meat in your favorite sauce. Researchers decided to compare different cooking oils to see if they would protect against harmful chemicals. They fried beef burgers in refined olive oil, virgin olive oil, virgin olive oil depleted of phenols, rapeseed oil, virgin olive oil with rosemary extract, and refined olive oil with rosemary extract. They then analyzed the cooked meet for HCAs, and found that the virgin olive oil reduced the formation the most. 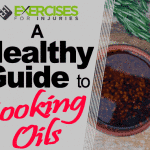 They noted that the effects decreased the longer the oil was stored, and recommended adding rosemary extract to older oil to increase protection. You may not have thought about cherries on your hamburgers, but it’s time to try it. Scientists tell us that adding fruit to the meat while you’re cooking it can lower the production of cancer-causing chemicals. Cherries are the most popular for beef patties and sausages, because they not only make the meat healthier, they also help keep it moist during cooking and extend storage time. Other options include oranges, apples, berries of any kind (including blueberries and blackberries), and dried plums. Aluminum foil makes a great barrier for any food items that you place on a barbeque grill. You can put meat and vegetables together on a foil sheet and let it protect your food from the flame flare-ups and from the smoke. Just cut a few holes in the foil to allow the fat to drip through. Cedar planks also work well as a barrier. In addition, try to make sure your grill is at least six inches from the heat source. Remember that the longer you cook the meat, the more likely it is to form cancer-causing chemicals. Cutting back on cooking times can help, as you’re not exposing the meat as long to smoke and flames. You can do a few things to help shorten cooking time. Cut the meat up into smaller pieces, for instance, and put it on a skewered kebob. Choose lean cuts of meat and poultry, as they drip less and create less smoke. Try fish instead of beef, as it cooks faster. Or pre-cook the meat in the microwave or oven before you put in on the grill. If you want to grill healthy meat, you can’t throw it in there and then go talk with your friends until it’s done. Instead, stay with your meat and keep turning it as it cooks. Continuously moving the meat this way can substantially lower HCA formation, according to the NCI, compared with just leaving the meat on the grill and then flipping it once or twice. It will take more of your time and attention, but the resulting meat will be better for everyone. The higher and more vigorous your flames are, the more cancer-causing chemicals in your meat. Turn your grill to a lower setting, or keep your charcoal at a low flame. If your flames aren’t reaching the meat, they’ll have a harder time charring it, which means healthier meat. 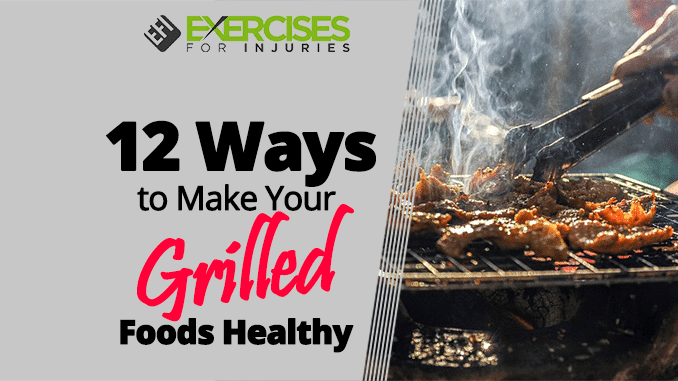 It also helps to trim your meat of fat so there is less to cause any flame flare-ups, and move your food into the center of the grill, and your coals to the side. Eating foods rich in cancer-fighting antioxidants can help your body fight off any cancer-causing chemicals you may consume in your grilled items. Cruciferous vegetables in particular, like broccoli, cauliflower, and cabbage have compounds called “isothiocyanates” that have been found in studies to neutralize meat-formed carcinogens. People who ate about four half-cup servings of these foods weekly reduced their risk of colon cancer by 20 to 50 percent. Onions, too (along with garlic) contain sulfide compounds that can render meat-formed carcinogens harmless. All vegetables also provide fiber in your diet, which can bind to HCAs and prevent them from being absorbed into the bloodstream. Instead, they are ushered quickly out of the body. If you don’t want to add your fruit while cooking your meat, eat it afterwards to help take the sting out of cancer-causing chemicals. 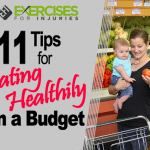 Berries, grapes, kiwi, and watermelon all inhibit the activity of certain HCAs. You may be tempted to sit down with your friends and enjoy your meal once the food is cooked, but resist for just five minutes. Take that time to scrape down your grill and get rid of that residue buildup. That black stuff can contain carcinogenic chemicals, and you don’t want it there for your next meal. It’s easiest to get off while it’s still warm, and takes only a couple minutes to scrape away. Then be sure to clean your grill completely before storing it. When Does Arthroscopic Knee Surgery Help?